TL; DR: If you’re a victim of stolen or plagiarized content, it’s not just your intellectual property being compromised. Online copy is intended to attract organic traffic, which is what generates revenue. When plagiarists drive that traffic away from your site, your rankings, visits, and profit potential take a hit. The makers of Copyscape are 10+ year veterans in the war on plagiarism, safeguarding content at very little cost to customers. Using advanced technology to scan and monitor webpages at scale, Copyscape products monitor and protect original copy from the costliness of plagiarism. No website is truly safe from the threat of content theft — and not all duplicated content is created maliciously. Regardless of the copier’s intentions, however, a site that falls victim to stolen content can suffer severe hits to its traffic flow, which can directly translate to revenue loss. We got the chance to talk to Copyscape Co-Founder Gideon Greenspan to discuss what site owners and business owners stand to lose at the hands of stolen copy and the risks of plagiarism on the Web. Gideon introduced us to the entire Copyscape product line, as well as the sister project, Siteliner.com. 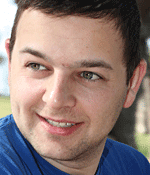 With his expertise on the subject, Gideon was able to illustrate for us the true dangers of stolen copy and allowed us to see first-hand how the Copyscape tools are wielded to prevent and protect against plagiarism. The team at Copyscape is constantly working to anticipate how plagiarists will strike next, how the stolen content will be concealed, and how Copyscape can expose such theft. Recent findings by Pi Datametrics indicate that an imitator site can actually out-rank even a well-known, highly-reputed site by copying and republishing its content. The fact that previous standing with search engines and authority on the subject matter showed little bearing in this experiment should open the eyes of SEOs and website owners everywhere. Even well-established websites can find themselves in jeopardy of losing their SERP (search engine results page) real estate. There are a whole host of reasons you can find yourself slapped with a Google algorithm penalty due to “bad content,” but duplicate content is a surefire way to sink your search results ranking. The dangers for site owners are that if you’re not careful, you could inadvertently copy someone else, or even worse, someone could copy you and get the credit for the originality. Either scenario puts you at risk for serious search engine penalties, which can be a pain to overcome. We’d all like to think that the Google gods are smart enough to outmaneuver the ill-willed content thieves and distinguish between the harmful and the innocent. While the 2,000-sum-odd engineers and developers dedicated to Google’s algorithm and Panda updates are getting closer everyday, we’re not there yet. As smart as search engines are these days, hackers and plagiarists are constantly trying to learn and work around plagiarism prevention technologies. Plagiarists can cost you so much more than your intellectual property or your claim to fame with your original content. If you’re a website owner using your web presence to host your business, your content is designed to drive traffic to said business in hopes of earning revenue. According to Gideon, Copyscape’s mission is to provide the highest quality plagiarism protection services at the lowest cost to people around the world. With these focuses on quality and user cost in mind, Copyscape has become one of the most popular and premier plagiarism detection resources. “We are pleased that all of our hard work is providing real value to our customers,” Gideon added. Copyscape holds strategic partnerships with large, global players to ensure that they have comprehensive coverage of the Web as they scrape for plagiarism. “Our expertise is designing advanced algorithms to beat the spammers, beat the content thieves, beat the content fraudsters, and provide our customers with the best protection they can get,” Gideon said. Some Copyscape customers have hundreds of thousands, or even millions, of pieces of content they need protected. Copyscape pricing is the cheapest you’ll find in the industry. The sheer volume of customers and webpages allows Copyscape to offer such economical and inexpensive services — bringing an “economy of scale” to their offered services, to use Gideon’s words. Copyscape runs on dedicated server resources dispersed globally on multiple load-balanced systems. “A lot of our technical effort has been focused on making sure we maintain the highest level of availability and scalability,” Gideon said. In order to facilitate the on-demand services required of users worldwide, Copyscape boasts powerful, robust hardware — capable of handling the large volumes that customers demand. We got a chance to test out the Copyscape product line first-hand, as well as Siteliner, a sister product created by Copyscape’s forefathers. Siteliner.com conducts internal audits of your website, scanning for duplicate copy and common errors often seen in larger web properties. 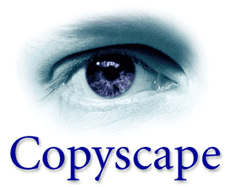 Copyscape.com is a free online tool that allows users to submit URLs and scan for copied content on the Web. 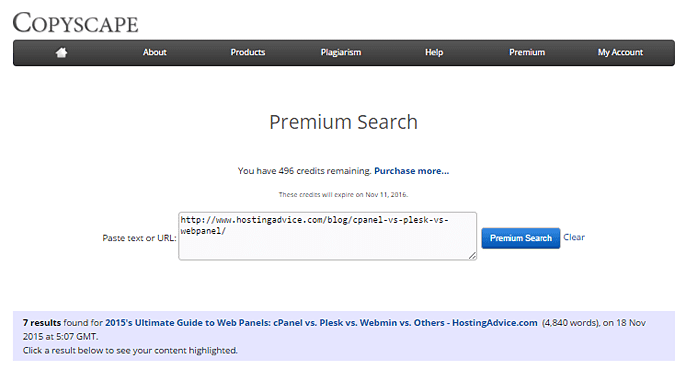 For unlimited searches and unlimited results, you’ll want to opt for their most popular product: Copyscape Premium. For larger customers in particular, the Copyscape Premium API is an invaluable tool, offering API calls at five cents per search. Within minutes of plugging a few URLs into the Copyscape Premium search bar, we were pleased (only for the purposes of this case study) to find not one but several sites mirroring our content. 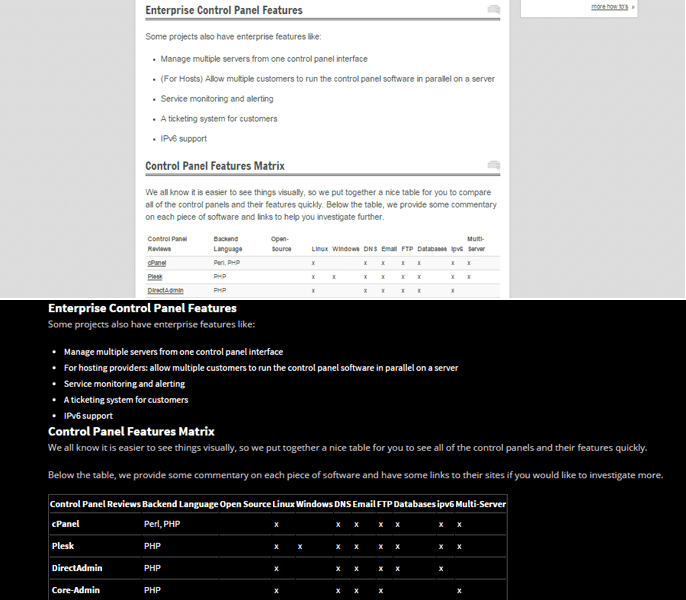 The results of scanning one of our most popular articles, “2015’s Ultimate Guide to Web Panels,” revealed seven instances of duplicate content found on the Web. For two of the top results, the content is copied verbatim, including visuals. The Copyscape API can be accessed using the majority of popular programming languages, including PHP, Python, Java, Ruby, and Perl. By sending GET requests, developers can search the Web for matching text or URLs and the API will return XML responses by default, HTML if specified. You can choose to either search the public Internet or create your own private index to sift through as well. While Copyscape Premium is especially appealing for larger companies, Copysentry is particularly popular among small business owners. This tool monitors your site’s content and regularly scans the Web (weekly for Standard plan users or daily for Professional plan users) for stolen copy. Customers receive email alerts reporting any matches found, based on the settings they select to determine what should be considered a match. Copysentry allows site owners to triage and track reported plagiarism cases, so they are always aware of their content’s protection status. The technology can even locate stolen content that has been modified based on your original copy. From the minds that brought us Copyscape, Siteliner functions similarly to Copyscape but conducts internal audits of your site. “You can actually see the crawl taking place,” Gideon said, “and most uniquely: Siteliner does a thorough internal duplicate content check.” Siteliner.com scans your own website in search of duplicate phrasing or content internally. 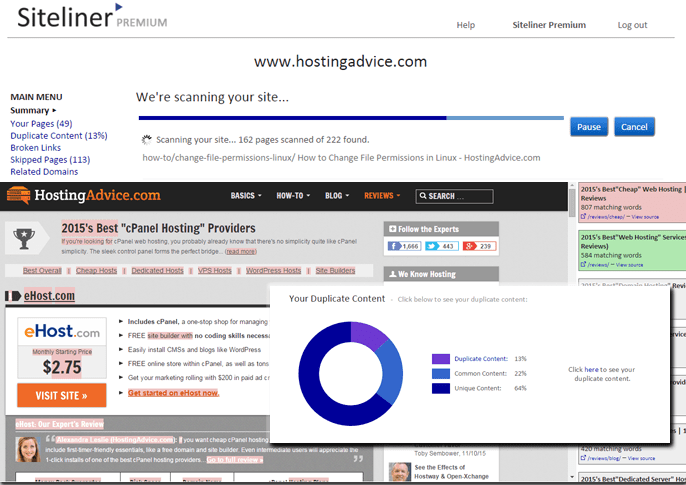 SiteLiner.com scans your website for internally duplicated content, as well as other common errors. The founders of Copyscape met at Cambridge University. They worked together on their first project, Giga Alert, which offers professional-grade notification services similar to Google Alerts. “We thought a lot of people would be using it to track professional interests, but also for ego surfing (notifications of new mentions of you or your business on the Web),” Gideon said. They were pleased to discover that their product was actually being used for many purposes, one of which being to detect content plagiarism. Users would set up targeted alerts to detect when their article titles were being copied or blog content was being stolen. “This was not the best way to do this,” Gideon said, “but we had better ideas.” From there, they went on to develop Copyscape, while grounded in the notion that customers will always show you what they need and want in a product. Whether you’re just starting out on the Web or have been accruing online clout in your industry for years, you should arm yourself and your site against plagiarist attacks.